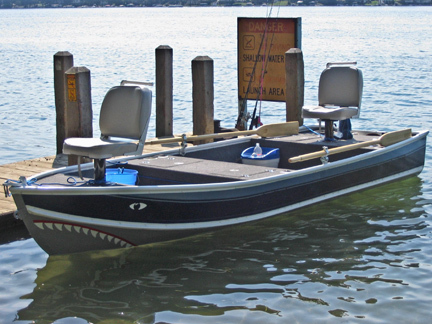 TinBoats.net member Victor Coar decided it was time to modify his plain old Ryan Craft V-boat into a lean mean fishing machine. The satisfaction of completing a project like this is incredible. 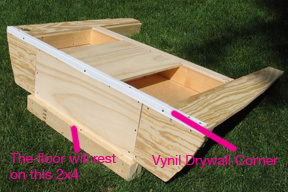 By taking on a project like this you learn a few things on the Way. 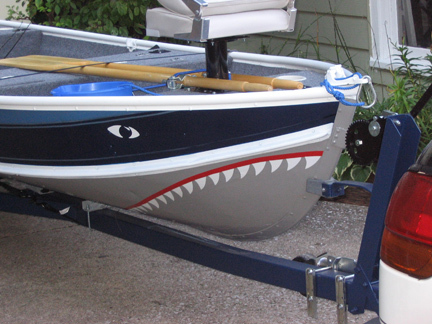 Victor will be the first to tell you what paint not to use when painting a boat. Undertaking a project like this s no easy task. Sure it’s fun, but there are many things that need to be covered before pulling off a project like this. 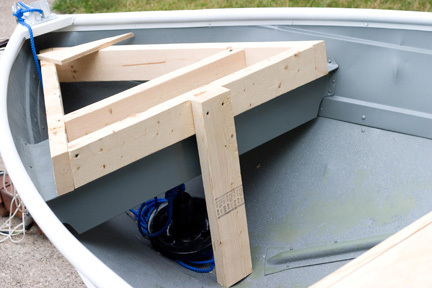 Weight distribution, material to use, paints, and storage areas are just a few of the things that you need to decide when starting a boat project. 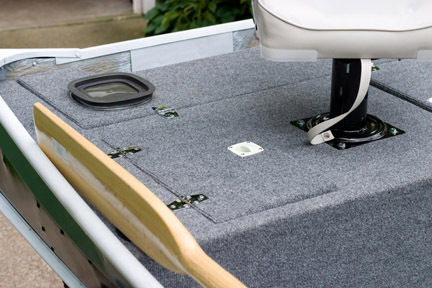 Victor decided to build a front and rear deck, He also modified the middle bench seat with more storage area, cup holders, and Bungee straps. Great job Victor! The boat gets an A in my book for a job well done. Be sure to check out the whole project from start to finish. Im sure Victor would gladly answer any questions you might have if he can.